Apache library is specially used to add HTTP ( Hyper Text Transfer Protocol ) into android applications. This library provides us the NameValuePair, BasicNameValuePair, HttpClient, HttpPost, HttpResponse methods which will enable us to use the send data on a particular functionality. 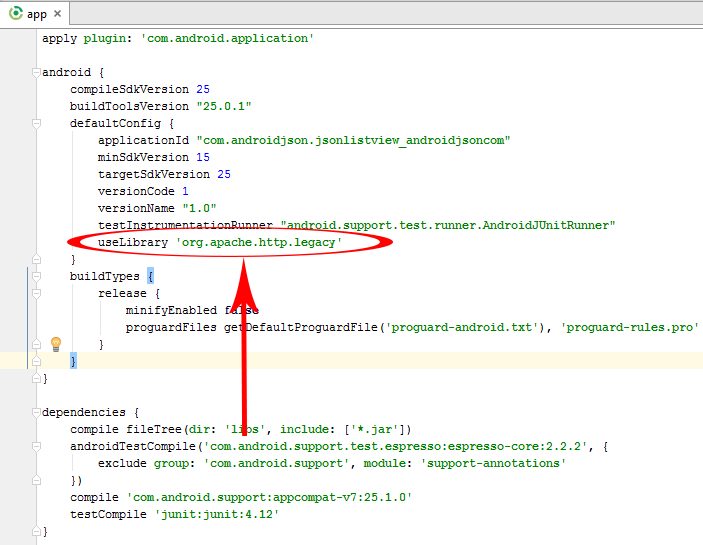 So here is the step by step tutorial for Add Org.Apache.Http.Legacy in Android Studio. Cannot resolve symbol ‘NameValuePair’ . Cannot resolve symbol ‘BasicNameValuePair’ . Cannot resolve symbol ‘HttpClient’ . Cannot resolve symbol ‘DefaultHttpClient’ . Cannot resolve symbol ‘HttpPost’ . Cannot resolve symbol ‘UrlEncodedFormEntity’ . Cannot resolve symbol ‘HttpResponse’ . Cannot resolve symbol ‘HttpEntity’ . Cannot resolve method ‘getEntity()’ . Cannot resolve symbol ‘ClientProtocolException’ . Cannot resolve method ‘execute(HttpPost)’ . How to solve Org.Apache.Http.Legacy in not found error Android Studio. 1. Start a new development project in Android Studio or open your current project in which you want to import the library. 2. 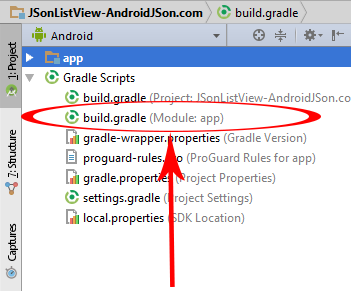 Click on project’s build.gradle(Module : app) . 3. Add useLibrary ‘org.apache.http.legacy’ in android scope. Here you go now the Apache library is successfully added into your project.